When it comes to keeping your teeth healthy, and especially when you have braces, a good oral hygiene routine is extremely important. Braces, with all their little nooks and crannies, have a way of catching and hanging onto food particles and debris. When buildup isn’t cleaned off regularly and carefully, it can lead to dental decay and gum disease. These, in turn, can have a long-term impact on your orthodontic treatment. For these reasons, maintaining a really thorough brushing and flossing routine is doubly important when you’re undergoing orthodontic treatment. 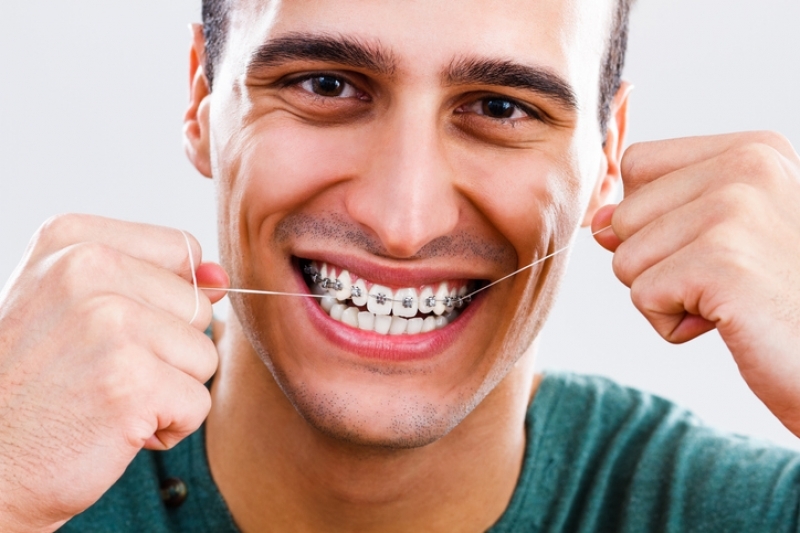 There’s no two ways about it: flossing with braces is time-consuming, and requires patience. But since it’s so important to your oral health, you must take the time to get it right. You’ll be glad you did! Use a waxed floss; unwaxed floss is more likely to get caught and fray or tear on your braces. You'll probably find this procedure a bit fiddly at first, but you’ll soon get the hang of it, and be able to move along much faster. Until then, take your time and remember: practice makes perfect! For more tips and information about oral hygiene during orthodontic treatment, contact the Langley Orthodontics team.